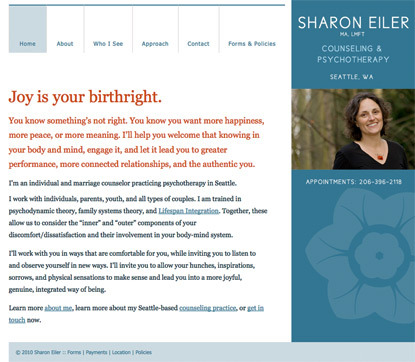 We designed and built Sharon's site in WordPress, so she could easily refine the content, and make the updates herself. Since choosing a counselor is a very personal matter, we worked to create a site that communicated who Sharon is as a therapist and a person. She did a great job on her content too, which is well written and articulate.